flashzombies.com - "Land of the Dead"
Such a random film, over 20 years since George A. Romero created anything zombie related. Then for the film maker to just come out with a new zombie movie made me very excited. With high hopes, I walked into this film opening day was glad to pay the after 6pm full ticket price. Not to mention add a new review to flashzombies.com! I give this movie about a 7.5, they say he's the man who created it all (all being the zombie phenomenon) which couldn't be more wrong, sure he made Night of the Living Dead, but what most people don't either know or care, is that the first zombie movie was White Zombie back in 1932, WAY before he made Night of the Living Dead. With all that said, casting could of been better. 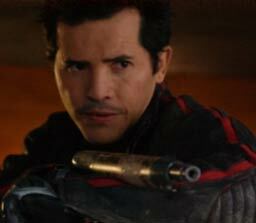 Last time I saw John Leguizamo and Dennis Hopper in a movie together the story was about saving a princess. Princess Daisy in fact, were John played Luigi and Dennis Hopper was King Koopa. (Super Mario Bro's) These two movies and the acting were quite similar, even though in Land of the Dead, John Leguizamo's character is more of the squirmy, high and mighty type. The story starts out sweet, you see flashes of what has already happened, the movie takes place after the zombies have feasted on the flesh of the living. With very few survivors left. Except the RICH and POWERFUL in the city heavily guarded, and owned by who? Dennis Hopper of coarse (King Koopa). No more for you, to find out more check out the movie. I say go see it. Its not likely you will get to see another new George Romero zombie flick anytime soon. I eventually got past the whole Super Mario Brothers thing and enjoyed the film, and you should too. PS. 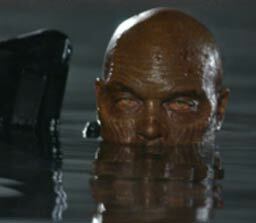 Did I mention the zombies are smarter in this movie?? Now you have to see it! What do you think of this movie? Click here to discuss Land of the Dead in our forum.